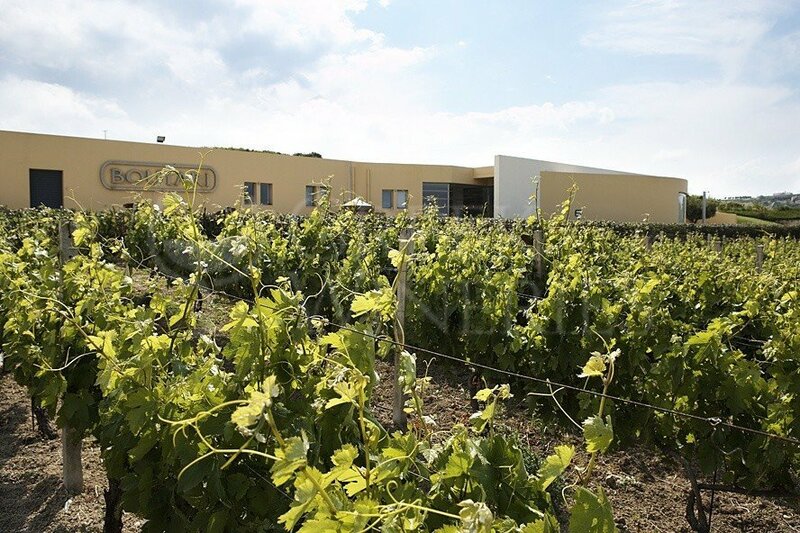 The Boutari Winery in Crete is built outside Skalani village, on the Fantaxometocho Estate. It is located just 8 km from the center of Heraklion and 4 km from the archaeological site of Knossos. The planting of the privately-owned Boutari vineyards began in 1990. 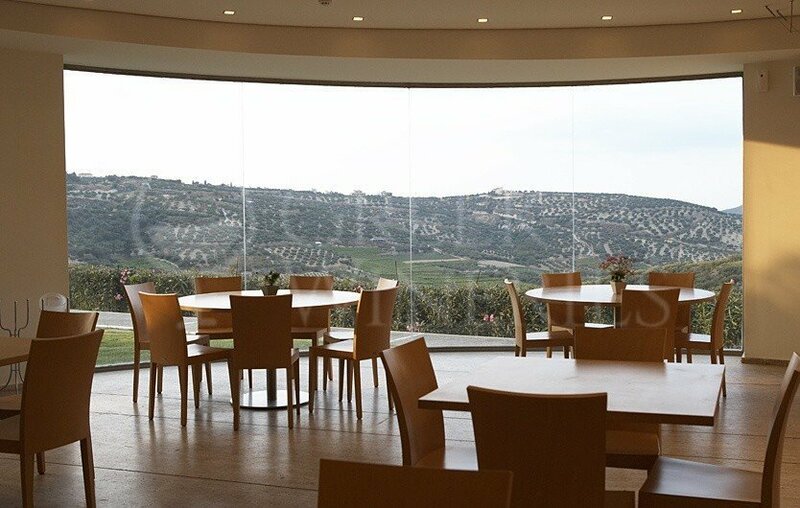 Boutari Winery in Crete was completed in early 2004 and is one of the best-equipped, state of the art wineries in Europe. The long experimentation both with Greek and international varieties resulted in the creation of high quality wines and specificity; like the limited production wines from the private vineyard: Skalani, Fantaxometocho, Iouliatiko, Moschato Spinas and timeless wines with excellent value for money varieties like the Kretikos White and Kretikos Red. Visitors can enjoy a tour in the cellar, the production area, and the other parts of the estate. A visit to the wine-tasting hall is definitely a perfect choice for the visitor to enjoy adorable wines, including the experimental ones, accompanied by dishes of the renowned Cretan cuisine. The winery offers visitors integrated tour services. There is also a small shop where visitors can purchase all the wines of the winery, local products, books and accessories related to wine and gastronomy. Scalani Hills Residences is a collection of three accommodation suites within the Boutari Winery. The three luxurious residences have been sensitively renovated to harmonize with the surrounding area. 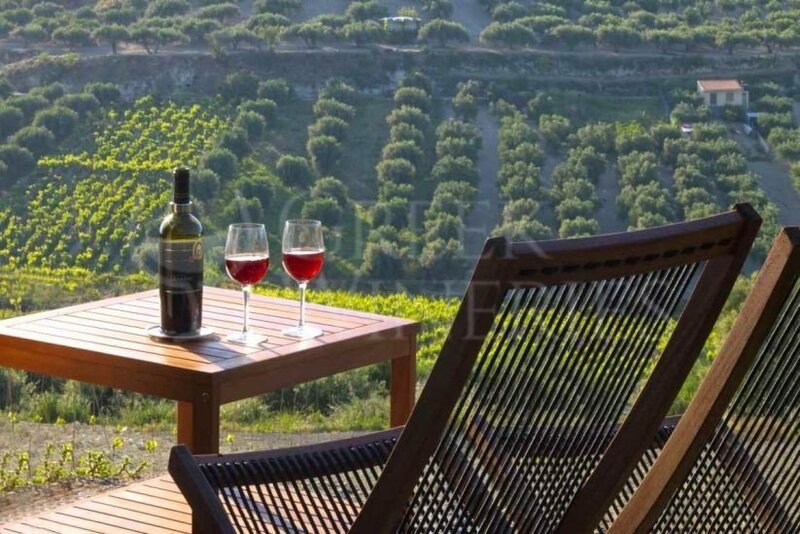 They all have magical views of the Fantaxometocho Estate featuring seven hectares of vineyards and olive trees. Set in the Archanes wine region with the important archaeological site of Knossos 5 km away, Scalani Hills Residences offer a unique experience amid classical antiquity and viticulture for a truly exclusive getaway or celebration. Guest accommodation comprises three independent residences within the former estate cottage. They have taken the names of the local grape varieties: Kotsifali, Malvasia & Liatiko. The cottage has been completely renovated with stylish, luxurious residences with modern comforts and amenities. A large hall is also available for private dining, celebration events and corporate meetings. Opening Days: Monday - Friday 09:00 – 17:00 and upon reservation. During weekends: upon reservation.